"First, the black hole information paradox. The problem with black holes is that according to Einstein’s general theory of relativity, because of what we know about how gravity interacts with the Universe and everything in it, all information that crosses the boundary of a black hole - called the event horizon - is lost forever. Not even light is protected from this, which is how black holes got their name." "Then in the 1970s, Hawking proposed that the Universe is filled with 'virtual particles' that, according to what we know about how quantum mechanics works, blink in and out of existence and annihilate each other as soon as they come in contact - except if they happen to appear on either side of a black hole's event horizon." "In this scenario, one particle gets swallowed up, and the other radiates away into space." "The escaping radiation steals energy from the black hole as it departs, so that the black hole loses mass over time. It eventually evaporates out of existence. According to Hawking’s calculations, the lingering radiation - the only trace of a vanished black hole - contains no useful information about how the black hole formed and what it ate." "So when a black hole disappears, according to what Hawking proposes, information is lost forever, which is a problem, because quantum mechanics states that information can never be lost. Hence the paradox." "In 1973, American theoretical physicist John Wheeler coined the phase, "black holes have no hair", which went on to spark a great debate over whether black holes were 'bald' and featureless, or had 'hair'. "In the paper, which has been published online at arXiv.org, Hawking and his colleagues, University of Cambridge physicist Malcolm J. Perry and Harvard University physicist Andrew Strominger, argue that they’ve made some concrete, provable steps towards explaining how information can escape a black hole after being sucked in." "The idea is that when charged particles get sucked into a black hole, their information leaves behind a kind of two-dimensional holographic imprint on the event horizon. This means that while all the physical components of an object would be so totally obliterated by a black hole encounter, its blueprint lives on. " Is 'information' the scientific explanation for a soul? ​If the black hole paradox was difficult to explain, then the definition of a soul is even harder. However, the good folk at outerplaces.com have done a reasonable job of summarising some pretty complex theories. "Testimonials from prominent physics researchers from institutions such as Cambridge University, Princeton University, and the Max Planck Institute for Physics in Munich claim that quantum mechanics predicts some version of "life after death." They assert that a person may possess a body-soul duality that is an extension of the wave-particle duality of subatomic particles." "Wave-particle duality, a fundamental concept of quantum mechanics, proposes that elementary particles, such as photons and electrons, possess the properties of both particles and waves." "These physicists claim that they can possibly extend this theory to the soul-body dichotomy. If there is a quantum code for all things, living and dead, then there is an existence after death (speaking in purely physical terms)." "Dr. Hans-Peter Dürr, former head of the Max Planck Institute for Physics in Munich, posits that, just as a particle "writes" all of its information on its wave function, the brain is the tangible "floppy disk" on which we save our data, and this data is then "uploaded" into the spiritual quantum field. Continuing with this analogy, when we die the body, or the physical disk, is gone, but our consciousness, or the data on the computer, lives on. " "What we consider the here and now, this world, it is actually just the material level that is comprehensible. The beyond is an infinite reality that is much bigger. Which this world is rooted in. In this way, our lives in this plane of existence are encompassed, surrounded, by the afterworld already... 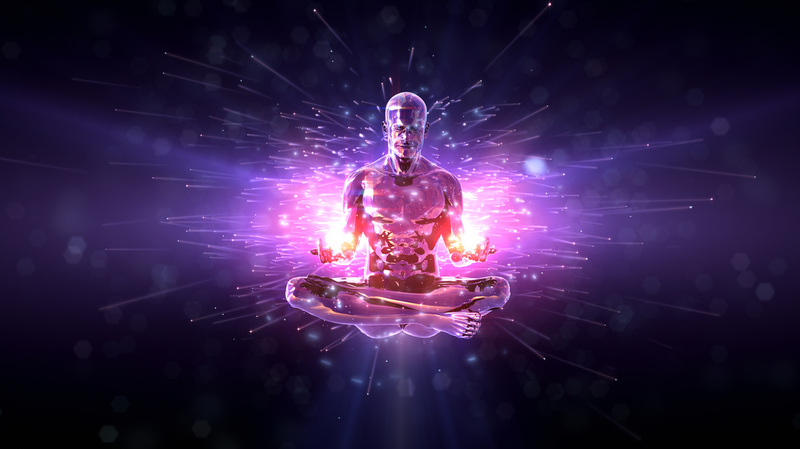 The body dies but the spiritual quantum field continues. In this way, I am immortal," says Dürr." "Although there is no definitive concrete evidence for this theory, one could arguably afford some weight to these claims if some of the most brilliant minds in quantum mechanics believe that it is consistent with the general patterns and trends of modern science." "If proven, this theory could have monumental implications; if humans do "download" their consciousness into a thus far unobservable field, then a person's consciousness could, in Dürr's words, truly be immortal." This feeds into the concept of Biocentrism, a melding of physics, quantum mechanics and astro physics. " Biocentrism teaches that life and consciousness are fundamental to the universe. It is consciousness that creates the material universe, not the other way around." "Dr. Robert Lanza who was voted the 3rd most important scientist alive by the NY Times, has no doubts that this is possible." "Lanza points to the structure of the universe itself, and that the laws, forces, and constants of the universe appear to be fine-tuned for life, implying intelligence existed prior to matter. He also claims that space and time are not objects or things, but rather tools of our animal understanding. Lanza says that we carry space and time around with us “like turtles with shells.” meaning that when the shell comes off (space and time), we still exist." Many experts suggest the possibility of parallel worlds and multiple dimensions, which through the lens of Biocentrism may justify concepts of heaven, hell and alternate reality - Places where consciousness may very well live on.